The Chronosphere « The ravings of a mad writer. About a week ago blogger ‘ericjbaker’ posted an article called ‘Writing Motivated Characters,’ on his blog, found by clicking the name. It is a good read, and I recommend you go take a look if you haven’t already. I posted a brief comment in reply, mentioning my own method of creating characters; it is this method I would like to go through today. The Thin Red Line by Julian Spilsbury is an excellent account of the Crimean War from the British point of view, but it is far from a ‘decisive account’ as some reviewers like to call it. The book draws from letters and personal accounts of a number of British soldiers, sailors, and officers to tell the story of the Crimean War through the eyes of those who fought it, and Spilsbury does a masterful job of weaving these accounts together into a coherent narrative and filling in the gaps – This book is very well written, and is one of those books that are simply a pleasure to read. The book opens with a quote from Tsar Nicholas I to the British ambassador in 1853, concerning the ‘Eastern question’ – ‘We have on our hands a sick man’ says the Tsar, ‘A very sick man; it will be a great misfortune if one of these days he should slip away from us, especially before all the necessary arrangements are made.’ – The ‘sick man’ is of course the Ottoman Empire, and the Thin Red Line follows what is essentially the beginning of that ‘great misfortune.’ We start by seeing an Army hastily pulled together out of British Mediterranean and Home Garrisons – This army, poorly organized, under-supplied in everywhere it matters and plagued by bad luck, will be the British force in the Crimea. Although the soldiers sail out of England in great cheer and spirits, which they maintain through the war in face of great military blunders, a Russian winter, and constant under-supply in the typically British stiff-upper-lip fashion, they encounter their first bout of bad luck almost as soon as they disembark in Turkey, with fierce bouts of Cholera thinning their ranks while the army sits stagnant in indecision. We then follow the allied landing at the aptly named ‘Calamita bay’ (Literally Calamity bay – The British army, at the time, was exceptionally genre blind), and their march south along the Black Sea coast towards Sebastopol. Then comes the first of the British battles of the Crimean war, the Alma (Not to be confused with the Alamo!) – And this is where The Thin Red Line really shines. Spilsbury draws accounts of the battle from almost every regiment and goes to great lengths to give a clear picture from all viewpoints – That of the rank-and-file British soldier marching in line, through the officers that lead their regiments, to Lord Raglan himself, and his seemingly indifferent coolness under fire. It is a truly brilliant account of the battle, a standard Spilsbury maintains and surpasses with each battlefield account in the book. Later, we are to read about the battle of Balaklava and the two most iconic actions of the war – ‘The Thin Red Line’, where a regiment of Scottish Highlanders face a Cossack cavalry charge in two-deep formation, and rout them under a hail of shot; and the ill-fated ‘Charge of the Light Brigade’ where British cavalry charge through the North Valley on a misunderstood, vague order, and into a crossfire between three Russian artillery positions and all its supporting infantry. We are also treated to an excellent account of the battle of Inkerman, where the Russian army attempts to break the allied siege by threatening it’s supply from the coast, and of course a horrific account of final assault on Sebastopol that decides the outcome of the war. I can find only one complaint with this book, and that is how narrow its scope is. First of all, it is very anglocentric; Spilsbury has found excellent accounts to draw on, no doubt, but they are all British in origin and this creates a very lopsided account of the war. I should have liked to read about the French in their battles, or read accounts from the Russians concerning the defense of Sebastopol and the conditions behind its walls (Though I suppose I have Tolstoy’s Sebastopol sketches for that! ), Or even Turkish accounts of the first and last battles of the war. Spilsbury was quick to explain French, Russian and Turkish action where it influenced the British, but where it does not they are given only a passing sentence or reference. We read about the failed British assault on the Great Redan, with all its horrors, but the first we read of the French assault on the Malakoff is a British soldier noting the tricolore flying above it. We read of the British sentries on Mt. Inkermann, but where are the Russian accounts? Much is made of the Minié Rifles, a new weapon issued to the British that lends them a decisive edge against the Russians, but what do Russian soldiers and officers have to say about charging in their columns against the hailstorm of shot that is a British Minié Line? The book also has a very strong focus on the combats of the Crimean War – Spilsbury follows the Alma, Balaklava, Inkerman and the siege bombardments and assaults in great depth, drawing from the accounts of Soldiers across the battlefield through different regiments and ranks. 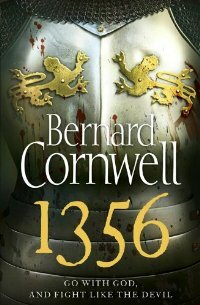 It is very interesting to read through the battles, and we are witness to some Heroic and seemingly superhuman deeds. However, beyond battles this account is found to be lacking. Spilsbury only touches briefly on the logistical and Medical problems faced by the British army. He looks briefly at the effects of the Russian winter and Cholera outbreaks on the men, but I can’t help but feel his account of all this would do better with more detail and discussion. Florence Nightingale, arguably the most famous name of the Crimean War, is mentioned only once or twice in passing – while she is responsible for revolutionizing the British medical service and giving birth to the Medical staff corps. To his credit, Spilsbury does acknowledge this nearer to the end of the book in a discussion on the aftermath of the war, but I would have liked to read more of Nightingale’s struggle and efforts, as well as a number of other aspects of the war not discussed in depth here. Overall, the Thin Red Line is an excellent book – though I feel its subtitle should be altered slightly to read; ‘An Eyewitness History of British Combats in the Crimean War.’ I found this book while exploring a military hobby store one afternoon, and am very glad of my purchase – It is superbly written, and contains brilliant insight into the British military actions of the war. It comes from me highly recommended to anyone interested in military history – But: Someone interested in the politics of the war; the Medical or Logistic side of the war; or the war from the Russian, French or Turkish perspective, would do better to look somewhere else for a more fitting account. Nonetheless; What the Thin Red Line does, it does extraordinarily well. After a long and successful campaign through the battlefield that is first-year University, I have returned to the home-front that is Treasonsists. Alright, enough war metaphors – that was in danger of becoming purple. Over the past couple of weeks I have made huge progress with Treasonists, Pulling it from an idyllic dream into what initial readers tell me is reminiscent of a professional book. As you can no doubt guess, I’m quite stoked to hear that, if a little disbelieving. However, it is hard to deny the difference in quality between now and the last round of drafting – A lot has been added to the plot, characters and world and, to me, it seems like things are coming together as they should instead of being segmented in their own scenes. When I first started, my goal was to have a product of at least 75,000 words – the current count is about 80,000, and with much to go I expect the end product to be at least 100,000 words strong, if not more. In celebration of my progress, I thought I’d give you a short teaser from near the start of the book. This is fairly close to what I imagine the final product to be, but please do keep in mind it has a little to go yet. ‘The blood of the empire runs through my veins just as yours, and I receive the same reports.’ Sephiran retorted, holding his ground. Silvara scowled and turned to the king. ‘We must unite the people to remove the threat of revolt, and seize crops and farmlands to quell starvation and discontent. My king, you must make a decision now; we don’t have time for diplomacy or games.’ The tired eyes of the king rested wearily on Silvara, and his lips parted to draw fresh air into his lungs. ‘Do you see, Sephiran?’ Silvara turned to her brother. ‘War is the only path, even our father, the king and emperor of all Azimir, agrees. What place do you have to object?’ Sephiran’s mind whirled with objections; to start a war was pure folly. Neither the Astral Empire nor Kingdom of Erethol would look kindly upon such reckless expansion across the seas, and if Silvara meant to attack one of the greater powers – it was inconceivable. The Three Emperor’s Treaty was signed by the king of Azimir himself, and guaranteed an alliance between any two empires against the aggression of the third. Yet with all these objections burned into his mind, all the Prince could do was stammer in confusion. ‘You would throw us at the mercy of other empires?’ Silvara snapped, ‘Have you no shame? No honor ’ She paused, catching breath, ‘War is the only way to ensure the people of Azimir don’t turn against each other, or our king! Are you a traitor? Do you not care for your country? Your people? Your father?’ Silvara spat at Seph’s feet in disgust, smirking as the boy stood paralyzed in shock, his mind struggling to make sense of Silvara’s attacks. The string of treacherous accusations had come from nowhere, and he was unready to counter them. Silvara grinned at his inaction, and her eyes flashed. ‘Nothing to say?’ she mocked, snatching advantage from his silence ‘After all, Sephiran, you cannot argue with the truth.’ Silvara approached the king, and leaned to whisper something in his ear. Slowly, the monarch’s eyes grew wide as his face twisted in anger. It is night. The sky is black; the moon is little more than an idyllic memory and even the faint light of the starscape is shrouded by clouds. After hours of slowly creeping along the coast, careful to avoid Zeds and other Survivor’s alike; I arrive at Chernogorsk, the capital of Chernarus. I’ve finally made it to the honeypot – guns, ammunition, bandages, maps and enough beans to see a man well fed throughout the apocalypse. First on my hit list is the supermarket. I slowly feel my way towards a slightly lighter shade of pitch black that I know to be the white walls of the supermarket. I enter through the rear entrance using my memory to guide me; I’ve been here before, in another life. Peering into the empty darkness I stop, and I wait. Silence, beautiful silence. Satisfied no Zed’s are stumbling around, I pop a Chemlight and throw it down the hall, lighting the world with a pale blue glow. A frigid room of empty metal shelves stares me back. I move through the back of the supermarket scavenging what I can – Some bandages, a can of sardines, a Pepsi. With the storeroom thoroughly looted, I move on to the front portion of the supermarket and find myself face to face – gun to gun – with another survivor. It’s the classic Prisoners Dilemma. He could shoot me, or I could shoot him, and we would be free to take each other’s hard earned beans and weapons. What’s more, if I shoot him he can’t shoot me. I’ll be safe, alive, and free to carry on without fear. Or, we could leave each other alone and go our separate ways; there is enough in the supermarket for both of us, and the sound of a gunshot will only attract more trouble: Zed’s, or worse, bandits. We could even trade information, work together and watch each other’s back as allies in an unforgiving world. I like to think of myself as a good person, and I am an idealist at heart – somewhat grudgingly so. I’d rather leave this guy to his own story then end it here out of fear or personal gain. After all, I’m in the same position and I know I’d rather come out alive. I open the chat window to let him know I’m friendly – but I think too much. He doesn’t. The sound of gunfire fills my ears and my vision blurs red as I see myself fall to the ground. The familiar hourglass of unconsciousness fills my computer monitor as my character bleeds out on the floor of a supermarket before the other survivors sees fit to put another one in my head. The ‘you are dead’ screen appears, and I let out a deep breath; I had been holding it since first spotting the survivor. Day Z is a Zombie apocalypse survival simulator. The only goal in this cruel world is to Survive – and it’s harder than it sounds. The average player life is 33 minutes, according to the official website, and I’m inclined to believe it. Day Z is not your standard video game – A player spawns somewhere on the coast of a fictional eastern European country ‘Chernarus’ with two cans of beans, a box of painkillers, a water bottle and a pistol with a few clips. To survive, you need to eat and drink regularly; you need to stay warm or you’ll get sick, but not too warm or you’ll suffer a heatstroke. If you lose too much blood, you’ll fall unconscious. In theory, the major danger of the 224 square kilometer game world is the zombies that shamble around hungry for flesh and brains. In theory. I’ve fallen to other survivors far more frequently than zombies or heatstroke. Meeting someone in Chernarus is dangerous business, as they are just as likely to shoot you in the head for whatever happens to be stuffed in your backpack. The only way to efficiently recover blood is to get a transfusion – but another player has to perform it on you. Unless you have a friend who can come and help, whoever you arrange to meet is more likely to shoot you in the face than heal a potential backstabber. The other day I saw a player pleading for help on the chat, offering a Lee Enfield rifle for whoever helped him with a transfusion. He gave his location publicly, and rather naively responded to questions about what else he had on him. When the help showed up, it greeted him with a bullet to the head and took his rifle anyway. All’s fair in love and war, and the apocalypse. When I first started playing, someone offered to show me the ropes if I met them at a nearby lighthouse. I had five minutes under my belt, and nothing more than the standard starting gear, but it was enough. When I got there, he shot me from hiding and said ‘Thanks for the beans.’ It was a good lesson; trust no one. Among the veterans of the game the coast is referred to as the ‘Bean Coast,’ because there’s always a new guy running around with a can full of beans. I introduced the game to my brother – he went through the usual ups and downs of a starting player. Mauled by zombies, died of starvation, broke his legs on a ladder. When he finally made it to the big city, he found a scoped rifle hidden in an apartment block. What did he do? He climbed the highest building with a wide grin, and started shooting survivors. Not zombies, not even bandits – everyday survivors. The first guy had no idea what hit him; he was scurrying from building to building in an attempt to go unnoticed. He forgot to look up. The second guy was prone on an opposite roof, but his pea-shooter was no match for a scoped rifle. My brother thought it was hilarious; I legitimately felt sick. Perhaps I was overreacting – After all, it’s just a game, right? He wouldn’t do this in real life, right? Well, no, he wouldn’t. But it still shows, to me at least, some very interesting aspects of human behavior. There will always be sociopaths – those who kill and maim for fun out of a pathological disturbance, or some other psychological issue. Any post-apocalyptic survivors will have to deal with this, and deal with the fact these people will probably be on the top. But surely, couldn’t the rest of us work together to rebuild and band together for protection? There has never been a real apocalypse for us, so the closest model we have is the world of virtual simulations; video games, and things are looking grim. I thought it was fear at first. It probably is fear, for most of us. Permanent death makes dying in the game a serious issue; you can’t instantly respawn with everything back, and you’ve worked hard to stay alive for this long; you’ve worked hard to scavenge everything you’ve found. You don’t want to let some trigger happy moron ruin that, do you? Shoot them first; shoot them before they can shoot you. Become the trigger happy moron. When I first started playing Day Z, I was friendly and idealistic and naïve – I was willing to work with anyone, I was willing to help anyone. After all, us survivors should be uniting against the common enemy, right? Uniting against the Zombies and the Bandits, right comrade? But I have been backstabbed too many times; It’s not the rooftop sniper that I fear, it’s not the bandit hunting me that I far – it’s the guy who act’s friendly until my back is turned. It’s the guy who tells me he’s out of ammo, and shoots me when I give him some. It’s the guy that works with me to survive for two hours, and shoots me in the back when I find something he wants’. Everyone is a threat until proven otherwise. It is impossible to prove otherwise. I haven’t started shooting on sight yet, and if I am forced into a conformation I’ll still offer the benefit of the doubt – but I don’t respond to calls for help anymore. I’ll avoid other players I see, hiding in the forest with my sights locked on their head until they have passed. I’ll see a potential comrade being chased by Zed’s and let him run past instead of opening fire to save him, just because he might shoot me back when I’m done. I can feel myself becoming part of the problem, and every time I leave a fellow survivor to the horde, or ignore a potential compatriot’s call for help, I feel a little guilty. But I move on, because I’ve been shot in the back too many times. And while I’m sitting safely hidden in the forest watching a survivor move along the road, I wonder – Is this how we treat each other in the apocalypse? I feel a little like a zombie right now, actually. All of my Assignment’s have been handed in, my semester exams are over and on top of that I have the Flu. Since March, so much of my time has been dedicated to reading textbooks and essays and writing essays and assignments that now I have the freedom of the winter holidays, I forgot what I’m meant to do with myself. Perhaps that’s why when a writer-friend Alerted me to Acacia Moon’s upcoming Zombie Anthology ‘And Then Jayne Was A Zombie,’ I was hit with a sudden bust of inspiration. A good thing, too – I was finding it hard to get back into the middle of a project after so long of writing nothing but History and Psychology assignments (As much as I enjoyed writing those – Particularly my major essay on the Industrial Revolution. Fascinating stuff). And so began a frenzy of thinking and note writing that would steal yet more sleep from my tired body. I have yet to see zombies done correctly, yet to read a book or see a movie that really makes me think ‘Yes, this is what Zombies are.’ (I think I may have told you this before, Internet…) Don’t get me wrong, I love zombies and Zombie fiction to (un)death – WWZ by Max Brooks is my favorite (But His Zombie Survival Guide is cringe worthy), and I have all of Romero’s Zombie flicks – even the bad ones. 4pocalypse by Dark Red Press deserves a shout out here because I didn’t have the time to review it – though I loved it – and it has some very cool takes on the Zombie theme (and a Swordfight.) I have about two hundred and sixty hours clocked on Left 4 Dead, and it remains one of my favorite games. But I have never quite seen Zombies done – in any medium – in a way that completely fills the hole in my heart brains, so to speak. Now, I’m not about to say I’ve written it. I would love to one day, and probably will end up doing so (I would have loved to be the first to combine Zombies and Steampunk – two of my favorite themes – if Cherie priest didn’t bollox it already) but not now. To be honest, I’m not even sure exactly what I would consider the zombie ‘perfection’ – Probably something of ‘War of the worlds’ style – a tale of survival until the Zombie menace falls to decomposition, with a heavy dose of humanity and human nature through a magnifying glass, inspired by my many hours of Sneaking around Chernarus in Day Z(I wrote an essay about that, too – Perhaps I’ll fix it up and post it here) No, I don’t think I can do Zombies justice yet, so my Zombie Magnum Opus will have to wait. But even so, I am excited to do something with zombies for the anthology (And, well, just because I love zombies, in case you didn’t get that) so I filled three pages of a notebook with notes on Zombies and a dozen half-detailed ideas. Originally I wanted to explore some of the themes of my essay (That, I have decided, I will fix up and post in the near future), which can be summarized as a look at why survivors tend to shoot each other out of fear of being shot themselves – Along with themes like Scavenging and guerilla warfare, Heavily inspired by Day Z. However, I was finding it difficult to pull together a nice, coherent plot – especially as I had assumed a somewhat modern-day setting, and I am terrible at modern-day settings. So I took all of my Zombie Ideas travelled back a few hundred years, to the setting I work best with, and – in a Brilliant coincidence – This is when Tchaikovsky’s 1812 Overture started playing over my trusty digital gramophone (Read: I-tunes), so I thought – Zombies, in Napoleon’s 1812 Invasion of Russia? This could be very interesting. Now, if you’ll excuse me, I have to dig out my books on the Napoleonic wars. 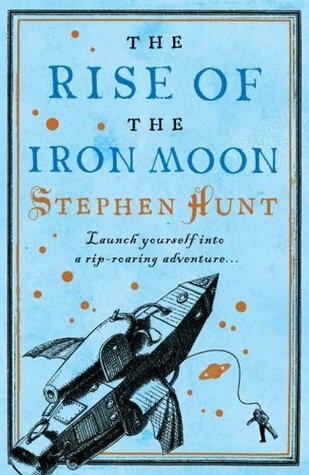 I think The Rise of the Iron Moon by Stephen Hunt was intended to be a sci-fi pulp adventure novel, but for the first half of book I had no real idea what was going on and by the time it became clear it was nothing more than cliches, dues ex machina and technobabble. I found myself wanting to finish it as fast as possible – not because I was enjoying it, but because I wanted to read something else. According to the rear cover of the book, the story follows Purity Drake – last of her royal bloodline – who finds herself on the run after accidentally escaping a parliamentary prison. She becomes embroiled in a war between the Kingdom of Jackals and the mysterious ‘Army of Shadows.’ By ‘embroiled’ I , of course, mean she becomes a side character with no meaningful dialogue or character development until half way through where she becomes a Dues ex machina dispenser with no meaningful dialogue or character development. I must admit it started interestingly enough with Purity’s escape, but I couldn’t help but feel cheated when all the excitement and set up of the first chapter was quickly washed away and ignored. You’d think a highly prized political prisoner killing a guard and escaping would have some kind of reaction from the powers that be, but apparently Purity changing her clothes was enough to throw her enemies off her scent so none of it ever needed be mentioned again. After series choppy and dissatisfying character introductions that can only be described as a ‘Maelstrom’ , the story begins to settle and decides to follow Molly Templar, an author of ‘Celestial fiction’ and her friends Commodore Black and Coppertracks. (Coppertracks, a robot, is ironically the most developed and interesting character in the book.) We follow Molly as she attempts to stop the destruction of her world by sailing across the celestial voids to the Army of Shadows home world in search for the ultimate weapon that will allow them to crawl from the war victorious. Meanwhile, back on earth, Purity Drake discovers she has some dialogue and, also, has the power to ‘rewrite the equations of matter’ with her Dues ex machina sword the ‘maths-blade’ and a convoluted technobabble explanation about how everything is a ‘mathematical construct’ and that Purity can bend reality by ‘rewriting the equations that underlay the world’ as if they lived in the matrix. With her new Dues ex machina, Purity decides to take the fight to the enemy. So our heroines advance towards their respective goals and play out their individual plans, and finally come face –to-face with the main antagonists who claim to be the ‘ultimate form of human evolution.’ Then there is some exposition about Evolution that reads like it was written by the Creationist propaganda department, and some plot reveals about time travel that create far more paradoxes and questions than it answers. The writing itself was more often confusing than not, and I remember having to re-read passages numerous times to understand what was going. I’m also sure I spotted dialogue that had the wrong names attached, but there is no real way to be sure. The book was filled with technobabble and psudoscience to the point where it was downright annoying – Don’t get me wrong, I never fault a book for failing to explain things scientifically. I read Fantasy, after all – but if scientific words and concepts are going to be used they should be employed properly. Overall, The Rise of the Iron Moon is a mess of a book. The Plot is convoluted and confusing at worst, bland and clichéd at best. The writing is no better, filled with run-on sentences and confusing metaphors. Next time someone tells me Self-published books are all bad because there is no quality control, I’m going to have them read this.